I have on occasion been asked if there is such a thing as Southern beer. Until recently, I never knew exactly how to answer that question. Southern Pecan Nut Brown Ale from Lazy Magnolia Brewery in Kiln, Mississippi, would always come to mind. Billed as “smooth and sweet,” it claims to be the first beer in the world made with whole roasted pecans. I enjoy drinking those beers, and many others somehow defined as Southern. But they don’t reflect a unique environmental context in the way that, say, Cantillon Gueuze captures the funky aromas and flavors produced by the wild airborne yeasts from the Senne Valley in Belgium. Of course, now we’re talking about terroir, the French word that defines that country’s sacred system of regional wine appellation. But more and more, that sort of sense of place is being discussed in terms of the unique characteristics of the soil food crops are grown in or the aquaculture of oyster farming. And all around the South, many breweries have been sprouting up taking a cues from those ideas, while finding inspiration in the Old World farmhouse brewing practices of Belgium and France. Their primary focus is on saisons and sour beers, and one of the wildest is Rumblefish. It’s an open-fermented white wine solera brewed with Calypso and Citra hops and a touch of caramel malt. It’s aged in oak puncheons, giving it a deft balance of crisp, bitter, tart, funky, and wood aromas and flavors with a clean finish. 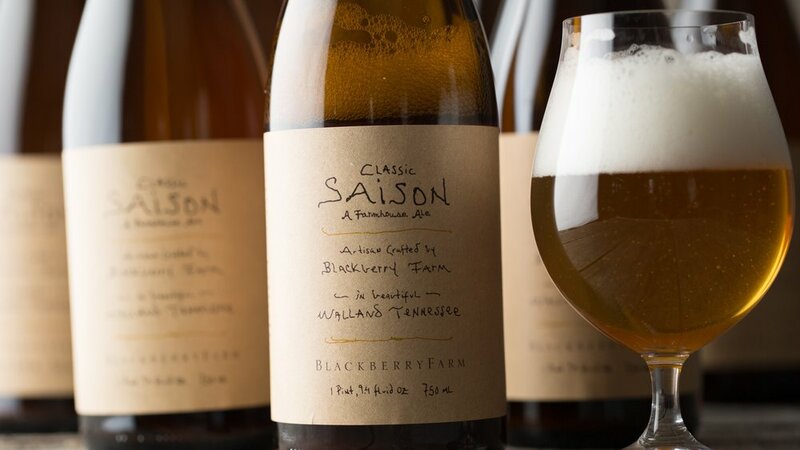 At Blackberry Farm Brewery in Walland, Tennessee, Roy Milner and his team have been producing small batch farmhouse ales for Blackberry Farm restaurant since 2011. After moving into a larger facility in 2015, they were able to expand distribution in the Southeast, and offer releases such Wild Classic Saison. It’s fermented with wild yeast harvested from honeysuckle blossoms in the orchards at the farm, creating delicate aromas and flavors of honey and citrus in an effervescent ale that drinks like Champagne. Athens Georgia’s Southern Brewing regularly uses produce and products such as honey from nearby farms, along with wild yeast strains wrangled from the 15 acres around the brewery. One of my New Year’s resolutions is to seek out more of these Southern farmhouse breweries and beers in 2018. You should, too. Bob Townsend has been writing about beer since before writing about beer was a thing. He is the editor of Southern Brew News.